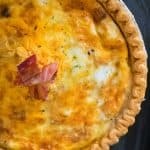 Hearty Bacon Cheddar Quiche Recipe | Easy Way to Use Leftovers! This is one of the easiest recipes out there, and you can adapt it to use whatever you might have hanging out in the fridge that you need to use up. Broccoli leftovers? Throw it in! Spinach salad? Add that too! 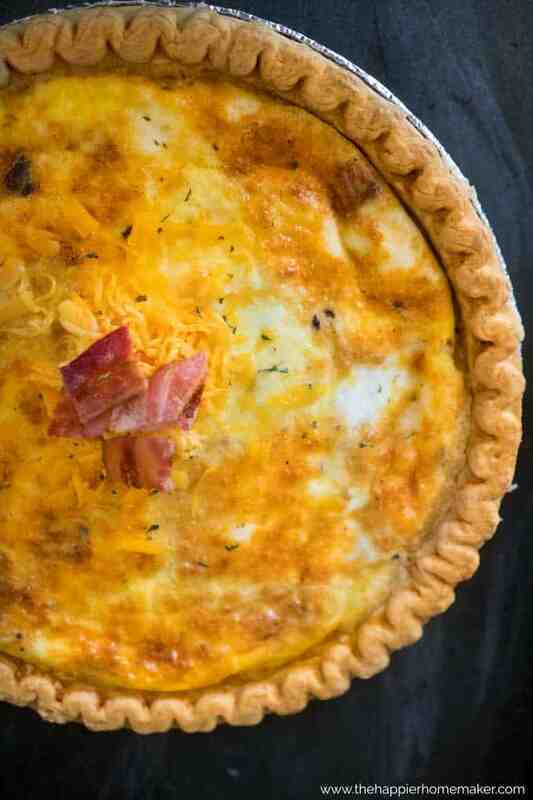 Anything goes with this yummy quiche! 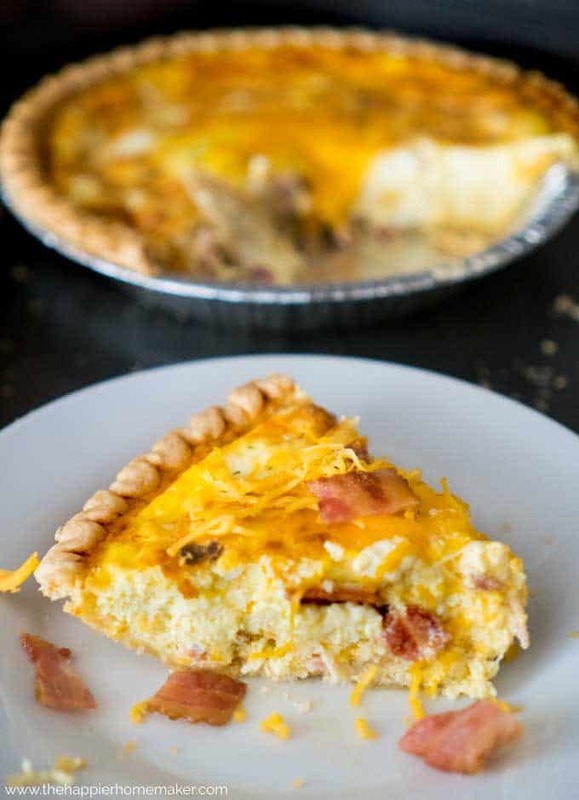 Hearty Bacon Cheddar Quiche pulls together in a snap and is perfect for brunch or potluck dinners! Made in a deep dish pie crust, it is always a hit! Preheat oven to 375 degrees. Place pie shell on a baking sheet. In a large bowl combine eggs, milk, salt and pepper, and garlic powder and stir until blended. Stir in bacon and cheese. Pour mixture into pie shell. Bake for one hour or until knife inserted in the middle comes out clean. Allow to sit ten minutes before cutting and serving. Top with additional cheese if desired. Tastes delicious hot or cold! Are you a big fan of quiche? I always love it when I make it, I’m not sure why I don’t make it more…I’ll have to change that in the new year! Join our community of over 20,000 everyday cooks and I'll send you an eCookbook with 13 of my favorite desserts as a welcome gift! Success! Now check your email to confirm your subscription and get your free eCookbook! Really nice cake. You have really done a nice job. As you have shared the best things for me. Even this recipes can be made in busy time also. It’s really special for me. thanks for sharing it here on this site.